The North African country of Algeria is a melting pot of influences, from French to Spanish to Berber and Roman. This blending of cultures has given way to a fantastic architectural scene, much of which still exists today. Algeria is a wildly underrated tourist destination due to recent political unrest and its proximity to war-torn Libya. To dismiss a visit to Algeria though would be a mistake. There is much beauty to be seen in this lovely country starting with the architecture. The M’Zab Valley is situated in the Ghardaïa Province of Algeria in the Sahara desert and is made up of five Mozabite towns: Ghardaïa, Melika, Beni Isguen, Bounoura and El Atteuf, the former of which is home to a stunning labyrinthine casbah which is well worthy of a visit. The unusual architectural beauty of this strange cluster of dwellings and towns is what makes this UNESCO World Heritage Site so special. Buildings are densely packed, replete with twisting and turning narrow alleyways, covered walkways and pastel colored paint. The visual impact is truly impressive, situated as they are in a deep and narrow valley. Having been established by a breakaway Islamid sect some 1000 years ago, they were designed for communal living, an intention which is clear to see to this day. This striking architectural design piece is less of a building and more of a monument; however it is just as impressive. Opened to the public in 1982, the same year the M’Zab Valley was celebrating its recognition as a UNESCO World Heritage Site, and just 20 years after getting independence, this spectacular feat pays tribute to the lives lost in the Algerian War. Commonly known in English as The Martyrs’ Monument, it consists of three giant, concrete palm shaped leaves reaching skyward and coming together to create the architectural achievement it is today. One of North Africa’s most important Islamic buildings, The Great Mosque, is also known as Djama’a al-Kebir. Standing at 300m tall, it’s an imposing structure and claims to be the oldest mosque in Algiers. It’s alleged that the beautiful minaret was a 14th-century alteration made by the Sultan of Tlemcen. Either way, it is one of the few remaining examples of Almoravid architecture and is well worth stopping by to marvel. When you think of beautiful architectural feats, post offices may not necessarily be the first thing to cross your mind. However, prepare to have your mind changed by La Grande Poste in Algiers. This is a stunning example of neo-Moorish architecture, slap bang in the center of this vibrant city. But its white outer walls are nothing compared to the highly decorative and impressive interior, so don’t forget to go inside and soak it all up. 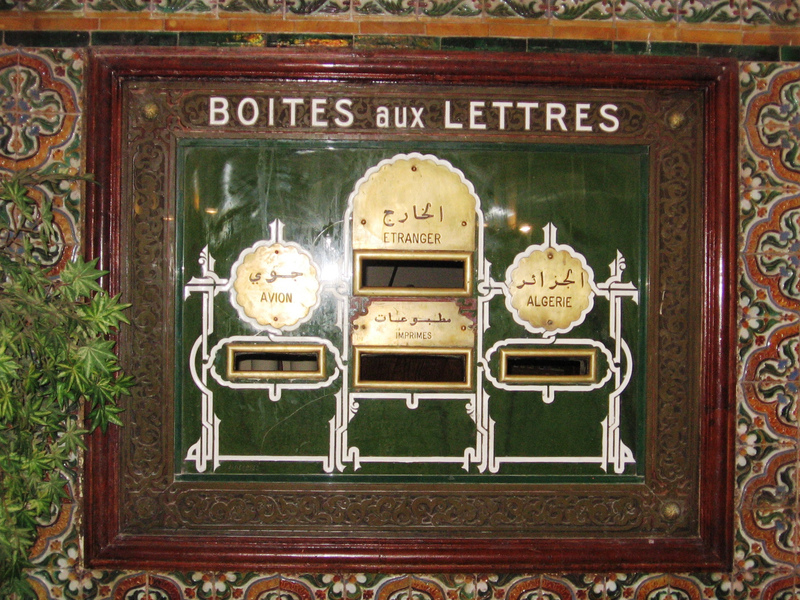 Popular with tourists, and perhaps Algiers’ most famous landmark, it is still in use, but you won’t look out of place if you just pop in for a look around. The Tombeau de la Chrétienne translates in English to the Royal Mausoleum of Mauretania and is a unique funerary monument situated between Algiers and Cherchell in the M’Zab Valley. 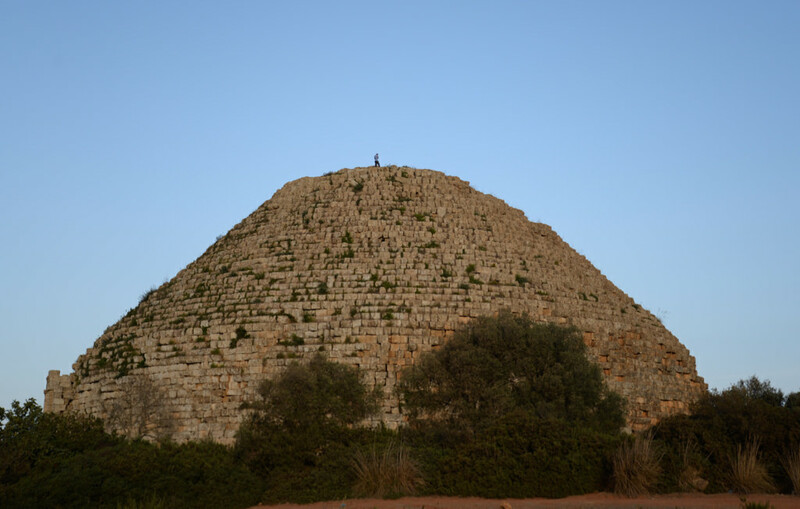 In it are buried two prominent figures in the country’s history: Berber Juba II and Cleopatra Selene II, the former king and queen of Mauretania. Built in the third century, it’s alleged not to have been solely intended for the king and queen, but rather for their descendants too, however Cleopatra Selene II ended up being the last Queen of Mauretania. Architecturally, it has clear Ancient Greek influence in its design: built on a hill it is made in a circular shape, entirely from stone, and topped with a pyramid shaped roof. One of the most important landmarks in Algiers, the Palais des Rais is situated on the waterfront and is sometimes known as Bastion 23. One of the last notable remnants of the Ottoman Empire in Algeria, and a crucial piece of evidence which asserts that said empire extended the Casbah de Algiers’ to the sea, it was designated a UNESCO World Heritage Site in 1992. Now home to the Centre des Arts et de la Culture, it is in fact an amalgamation of several houses, linked to create one larger edifice. The Ottoman-period mansion is the stand out of the Palais des Rais however, with its sometimes painted and elaborately tiled ceilings and sense of grandeur. Tlemcen, which translates to ‘the town of cherries,’ is an amazing Algerian location to visit, but its most prominent attraction would have to be the Great Mosque of Tlemcen. Not to be confused with The Great Mosque in Algiers, this mosque is one of the best preserved examples of Almoravid architecture and for that reason alone should be worth stopping by. Dating from around 1082, it was first constructed by sultan Yusuf ibn Tashfin before being reconstructed some 100 years later under the rule of his son, Ali ibn Yusuf. Finally, another sultan deigned it fit to add a minaret and a dome in the 13th century, and the culmination of these reconstructions and additions is The Great Mosque of Tlemcen that we see today. Notable for its unique fusion of Byzantine and Moorish architecture, this mosque is situated at the bottom of one of the Casbah de Algiers’ first steep stairways, giving it a symbolic and logistic importance. First built in 1612, it has survived many occupations and a change from mosque to cathedral and back again, without losing its impeccable sense of grandeur and beauty. This transition from mosque to church led to one of Algeria’s worst massacres, and it was only reconverted to a mosque in 1962. In design, it is stunning: ornamental porticoes supported by black veined marble columns, Moorish plaster work and octagonal minarets are just some of the many highlights.